Informatics, a new term/concept for people. Many people who stay in Europe know this term "Informatics" as a synonym to Computer Science. Like myself when I was thinking to do a Master's from Europe, I found that universities where I was looking to go didn't have Computer Science instead they Master's in Informatics. This term for parents all over the world is very new and parents are very sceptical about sending their son/daughter or even getting themselves a degree in Informatics. With this post hopefully the picture will be cleared and will help students/professional to look at it in a different aspect. 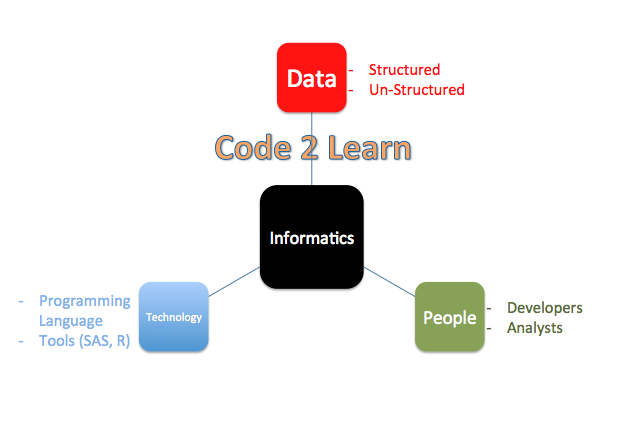 Informatics stands as the term DTP where D is Data, T is Technology and P is People i.e. combination of all three. Its where computing (which we learn from computer science) is done with respect to another domain. With the above diagram, it seems clear that, Data which is generated by us is transformed by developers/analysts using technology in such a way that it can help people solve a problem or make a the world a better place to live. Informatics is not just restricted to Computers field, it has application in Medical, Retail, Social Networking, Health, Ocean, Sports etc. Informatics as mentioned above has its application in various field so depending on the course and field you undertake the roles vary. - Interaction Designers, to name a few. The future of Informatics is very bright as the data being generated in every field is increasing every second, the roles and jobs are proportionally increasing and getting more diverse and niche. 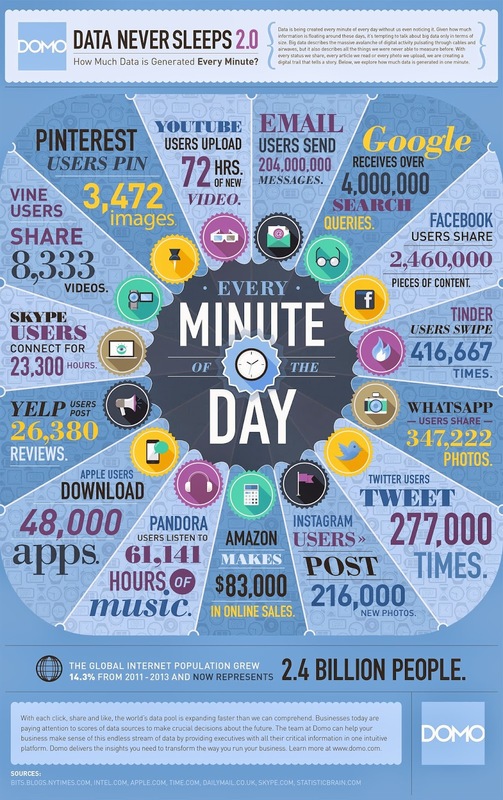 Infographic is from Domo, a data visualizing firm. At last I would like to say, in our world we might not be aware of what power and meaning data has hidden in it. But I feel lucky to come across some real-life examples where data with use of technology and people is making a difference. Just for an example : West Ham Football Club (a Football club in the famous English Premier League) Manager Sam Allardyce uses footballing data and then buys players accordingly and so far if we see West Ham current season, it's turning out that the knowledge offered to him on recruiting is turning out to be a success.